Sun Business Solutions is a multifaceted organisation that provides the highest standard of service in BPO / IT / ITES sectors and other Outsourced Operations. We have mastered the art of complexity through simplicity service offers. SBS manages a wide array of processes within the Sun Group. We handle over 35 million voice calls and in excess of 12.5 million transactions annually. SBS helps businesses to unlock new revenue opportunities in rapidly evolving customer-centric marketplace with fine-tuned processes, effective & optimized data mining techniques with world-class quality operations. We consistently strive hard to go beyond our clients’ expectations to add significant value to their entire business spectrum. We are located in multiple Indian metropolises and have a workforce of the order of 1200 full time employees, a highly impressive figure. We use sophisticated technology in optimizing and linking disparate processes seamlessly. SBS’s infrastructure and IT outsourcing ability is one of the best available in the marketplace. The IT department is very prominent in our large organisation with an equally impressive infrastructure. SBS prides itself on having such a dedicated and talented workforce who continue to surprise and produce the most ingenious and innovative of programming solution to tackle all crisis. Our visionary Group chairman saw the lack of business solution expertise and the deprivation of customer safe support in service industry. Thus came into existence and the origination of Sun Business Solutions in April of 2011. 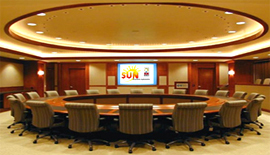 Our initial project for group company flag bearers Sun Network & Sun DTH was overwhelming. Our out of the box productivity, coupled with positive customer feedback and performance with proof of concept, should not be left unnoticed. We embraced a clean, modern and comprehensive platform to improve business operations whilst leveraging existing IT. Client First: We prepare our clients into the future. Respect: We focus for the betterment of our client’s business as partners in progress. Integrity: We believe in our commitment in all our actions and follow strict work ethics. Excellence: We stand for change and truly believe in extending client enterprise. At SUN Business Solutions, we are committed to seeking growth and prosperity by achieving a competitive edge and sustainable share not only in the domestic industry as market leader but also inclined to go international. Our technology solutions and beyond, offer a wide range of value added services in enhancing and realizing our clients strategic plans. 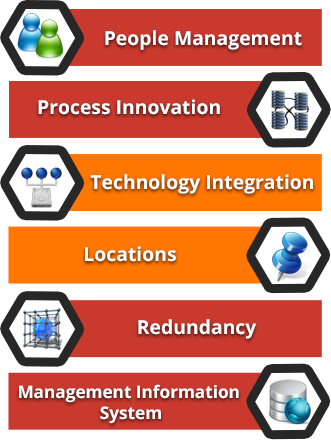 Process Innovation – In depth focus on process management with expertise in analytics. Technology Integration –A blend of high end technical tools like (Cisco + Siebel + OBRM) are integrated to produce effective software to suite clients need and fulfillment. We use smart decoupling layer theory and add agility and leverage existing IT. Management Information System – SBS embodies a team that possess expertise in preparing the best class of MIS for all Business improvement activities. SBS is dedicated to meeting challenges in global corporate Governance arena. Our intentions are to constantly strengthen out Corporate governance structure by enhancing systems, principles and processes and facilitate fruitful relationships with all stakeholders thereby healthy growth for our company and making it a better place for our employees. We thank one & all for your attention, interest and confidences shown in Sun Business Solutions. We are a Business Solutions enterprise with a Mission. We are committed to investing heavily in technology that empowers us in providing business growth, customer service and satisfaction. We are always ahead in launching innovative products and services to cater to the market expansion with greater speed and flexibility. We also support decision making by delivering complex research and analytics services stand for change and truly believe in extending client enterprise. We deliver excellence in Operational functions, increase bottom level revenue growth, drive efficiency and lower costs.